The cruise company, Cruise becomes the official team logo and appears on the left sleeve of the kit for next season. Valencia CF and MSC Cruises, one of the cruise industry's leading companies in the world, have signed a sponsorship agreement, which the cruise line Cruise becomes the official team logo and appears on the left sleeve the kit for next season. 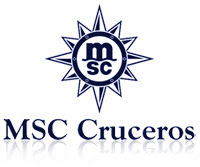 MSC Cruceros operates in the Mediterranean, South Africa, Brazil, the Caribbean, South America, the Indian Ocean, as well as South and West Africa. The official presentation will take place on Monday the 29th of August, on board the MSC Sinfonia.